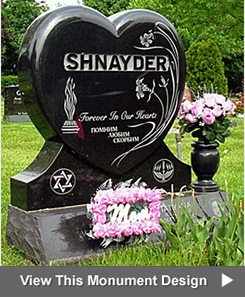 Browse design gallery photos of Jewish bronze markers and bronze memorials for sale by clicking on the photos below. 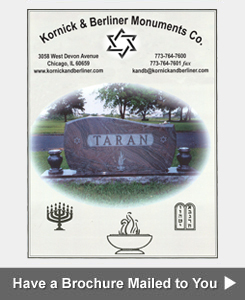 When you find a picture of one you like, click on the "Request a Price Estimate" to get information about prices or call 773-764-7600 to talk to Kornick & Berliner Monument Company about designing a Jewish bronze marker that will mark the location of a grave in a Jewish cemetery or in a Jewish section of a cemetery. Individual or single flat bronze grave markers are used to designate the location of one burial plot or gravesite in a cemetery. Double or companion flat bronze grave markers are used to designate the location of two burial plots or 2 gravesites in a cemetery. These types of cemetery memorials usually are made by attaching a bronze plaque to a piece of flat granite. 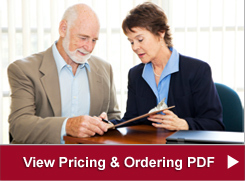 Bronze floral or flower vases are frequently requested by our customers. 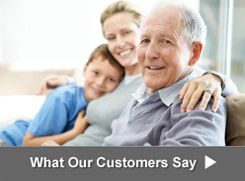 Ceramic or porcelain pictures are another option that some families choose to further personalize their memorial. Kornick & Berliner also specializes in matching a new bronze marker to an existing marker that is already in the cemetery. Jewish Bronze Marker on a Granite Base by Kornick & Berliner Monument Co.